There are some films you know you can just put on and they will brighten up your day, this is that film for me. 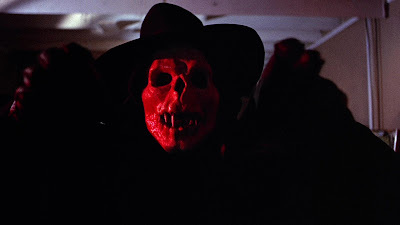 I first saw this film at a young age and whilst it didn't scare me it still left me feeling uncomfortable for some reason, I didn't watch it again for many years until once again it came onto my radar and I had the pleasure of rewatching it. 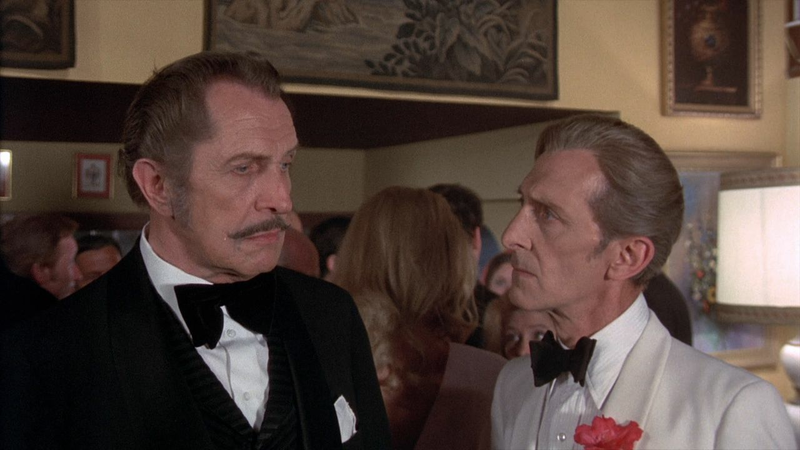 When I first saw the film I had no idea how special it was to see Vincent Price and Peter Cushing in the same film along with Robert Quarry and Linda Hayden as well. It's truly magical to see them all on screen together, even now. The film has somewhat of a tarnished reputation, sure the stars were aging and yes in all honesty it could've had a better script but in my opinion it just clicks. Let's be honest, Vincent Price can make anything work. Sure the film hasn't aged well but it still has so much charm to it that it's hard not to enjoy it. I know this may sound biased but any film that stars the iconic Vincent Price always gets my attention, always. "Madhouse" is a fun film, sure it's quite cheesy now but it's still so entertaining. During the costume party, Robert Quarry is dressed in his outfit from the film "Count Yorga, Vampire" (in which he played the title role). Final film Price made for AIP after a collaboration that began 14 years earlier with "House of Usher." Peter Cushing dresses as Dracula, an in-joke reference: he frequently played Van Helsing in Hammer's Dracula series. During the last scene and over the closing credits, it is Vincent Price whose singing voice we hear. 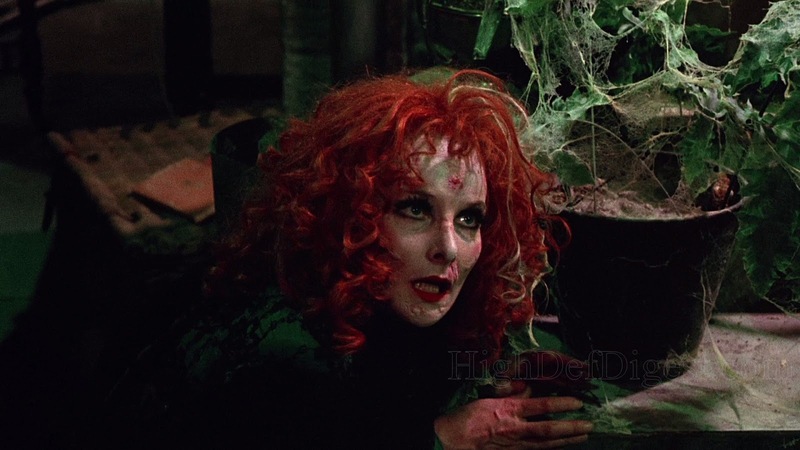 The Dr. Death movie clip played at the beginning of Madhouse is from the end of The Haunted Palace (1963). The voices have been dubbed to fit with Dr. Death. The title credits include special participation by Basil Rathbone and Boris Karloff. Both men were deceased, having died in the late 60s. However, they appear in clips from real films they acted in with Vincent Price: Rathbone in Tales of Terror and Karloff in The Raven. The title has very little to do with the film. There is a brief scene in a mental institution; and we learn in some expository dialogue that the main character spent time there. 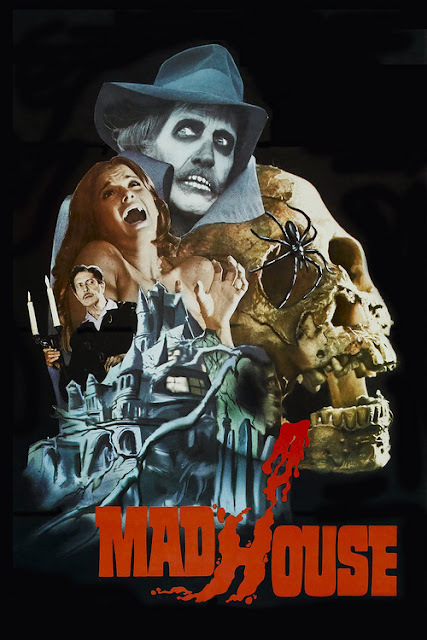 Otherwise, the "madhouse" of the title is irrelevant. The film scenes shown at the costume party at Olivers house as a tribute to Paul (played by Vincent Price) is an actual Vincent Price film, The Pit and the Pendulum.